Note: This “fix” is only possible if you’re running iOS 10.2.1 on an iPhone 6, 6 Plus, 6S, 6S Plus, or the SE. If you’re using an iPhone 7 or 7 Plus, you’ll need to be running iOS 11.2 or higher. If you don’t have one of the aforementioned devices running either iOS 10.2.1 or iOS 11.2, then replacing your battery will likely have no effect on processor speed. If you weren’t already aware, Apple recently admitted that it intentionally slows down processor speeds on older iPhone models in order to compensate for degrading batteries. After publicly apologizing for incident — and upon receiving a deluge of consumer backlash — the company announced that it would offer replacement batteries for about $30, which amounts to a $50 discount. Assuming the battery is the primarily source of your iPhone’s recent sluggishness, opting for a replacement from Apple should increase processing speeds and allow it to operate like normal for the foreseeable future. Before heading down to your local Apple store to get a replacement battery, however, it’s important to ascertain if you truly need one. On the surface, this may seem hard to do, but it’s relatively simple if you run a diagnostics test on your iPhone using an app like Geekbench 4. 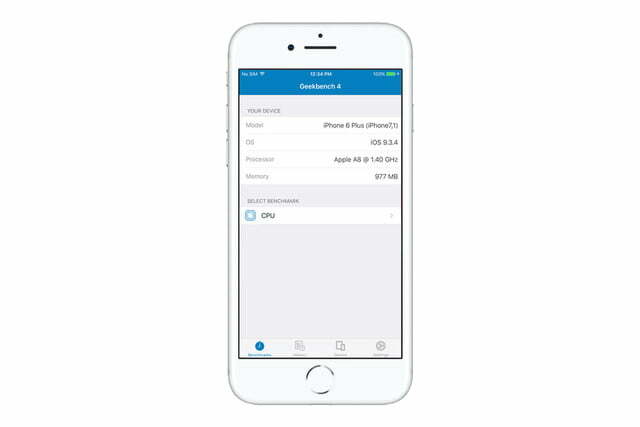 The freemium app is available in the App Store, and allows you to quickly test your processor speed. The CPU test takes some time to complete, but based on your Geekbench score, you will know if you iPhone is affected by the dreaded slowdown. 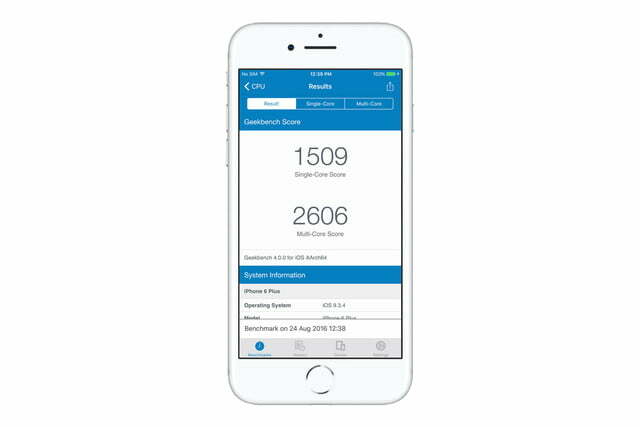 If your Geekbench score is 500 points or so below the average — a score that falls within the 500 range could be the result of normal operating conditions — then you’re phone is likely suffering as a result of Apple’s supposed software “fix.” If this is indeed the case, we suggest that you get your battery replaced sooner rather than later. Again, replacing your battery will set you back $30, and involves a trip to your local Apple Store. If you want a cheaper option and have a bit of a do-it-yourself attitude, you can also purchase a replacement battery from The Unlockr for a mere $15.